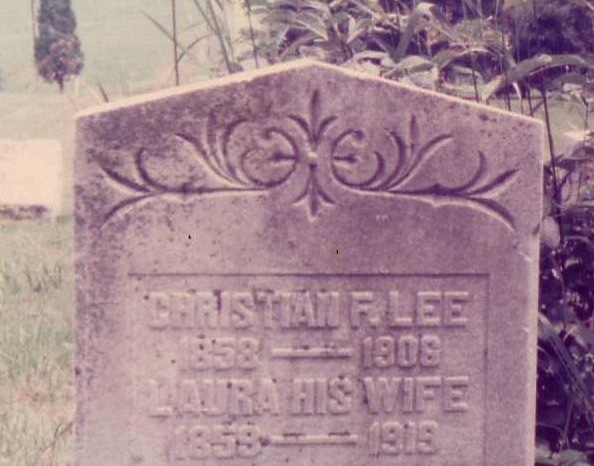 -burial: Springs Mennonite Cemetery, Springs, Somerset Co.
-burial: Springs Cemetery – obituary from Herold der Wahrheit 6-15-1919 Lee. 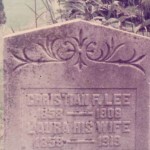 – Laura (maiden name Speicher) widow of the late Christian F. Lee, passed from time to eternity at her late home near Springs, Pa., on July 1, 1919, at the age of 60 years, 5 months and 10 days. Her death was due to general decline caused by a paralytic stroke about four years ago. Three sons and three daughters survive, and other more distant relatives. Funeral was held at the Miller or Maple Glen Amish Mennonite meeting house, near Grantsville, Md., July 3. Funeral sermon by C. W. Bender in German from Rom. 6:23 and by H. E. Miller in English from I Cor. 15:26. Deceased was a member of the Amish Mennonite Church. We hope she is at rest.